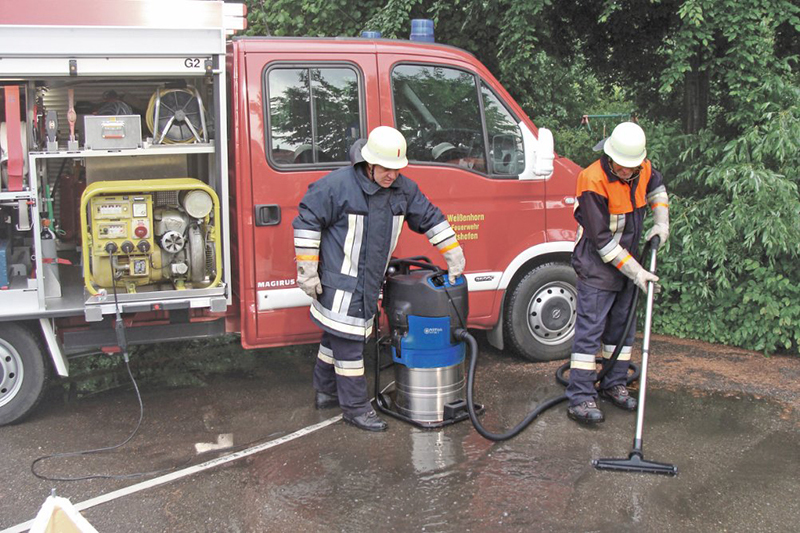 Nilfisk Alto Attix 751-61 wet vacuum cleaner with disposable pump has a big capacity for demanding applications such as flood pickup, road spills and clean up after fires. 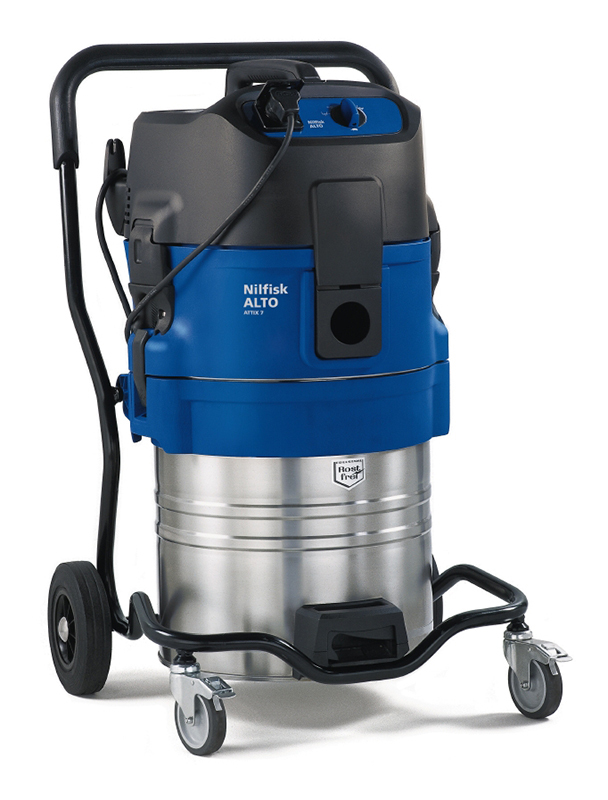 Nilfisk Alto Attix 751-61 is designed for users who need easy liquid discharge, high suction power and robust construction combined with high mobility. 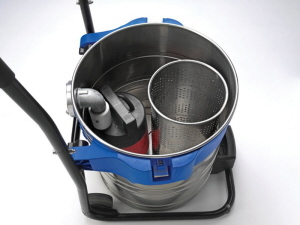 Because of its 70L liquid capacity and disposal pump, it allows you to work for longer time without emptying the container. Tilt or Lift-Off container system convenient and easy to operate. Nilfisk Alto Attix 751-61 Liquid Vacuum Cleaner's built-in pump is able to pick up liquids at 200 L/min and discharge at 300 L/min up to 9 meter higher or 50 meters away from the cleaning position with a drain hose connected to the Storz C coupling or optional GEKA coupling. The special MWF model (Mobile Wet vacuum for Firefighting services) is optimized for storage in fire trucks and includes ground fault circuit breaker (PRCD) and IP68 plug for additional safety when working in wet applications. 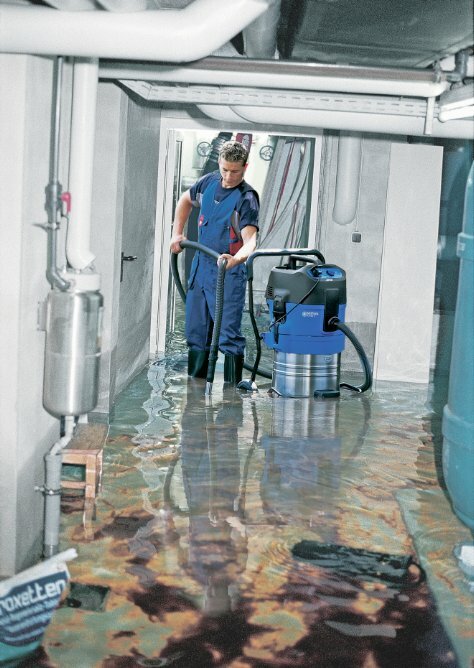 You are sure to find a perfect match for your demanding wet application cleaning task in the ATTIX 7 LIQUID VACUUM range.